And there you have it, the fabled Sony PS3 price cut as well as confirmation of a trimmer, slimmer iteration of the PS3 after over a year's worth of gossip and false leads and photo-forgeries. The PS3 slim looks, as you'd expect, kind of like a diet-PS3, except for the part where it's still full-featured only priced $US100 less. Make that 33 percent smaller, 36 percent lighter, roughly as tall, but thinner, with a matte finish along the top and glossy sides. It certainly looks nifty that much thinner, speaking as a guy who had to lug two Xbox 360s and PS3s and a Wii overseas in carry-on luggage. 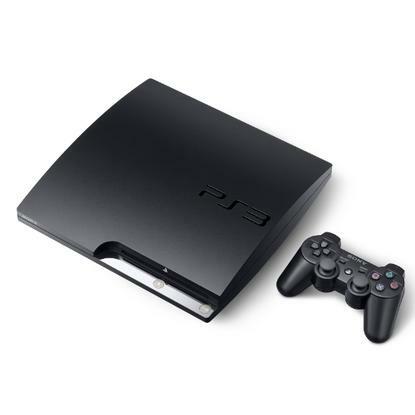 Never mind the fact that the original PS3 is just about the ugliest-angled console to come along in decades. But I digress. The current 80GB PS3 had been selling for $US400, though a few retailers slashed prices in recent days and fueled speculation a price drop was imminent. It's not clear whether the PS3 slim actually replaces the existing model or not, but if you don't care about aesthetics, the price of the PS3 just dropped across the board, meaning that as of tomorrow, you can buy an existing PS3 anywhere in the US for $US300 (or depending on your international locale, 300 euros or 29980 yen). PS3 Slim availability? By September 1, everywhere.